Hameed completed the Robotics Institute Summer Scholars Program today. 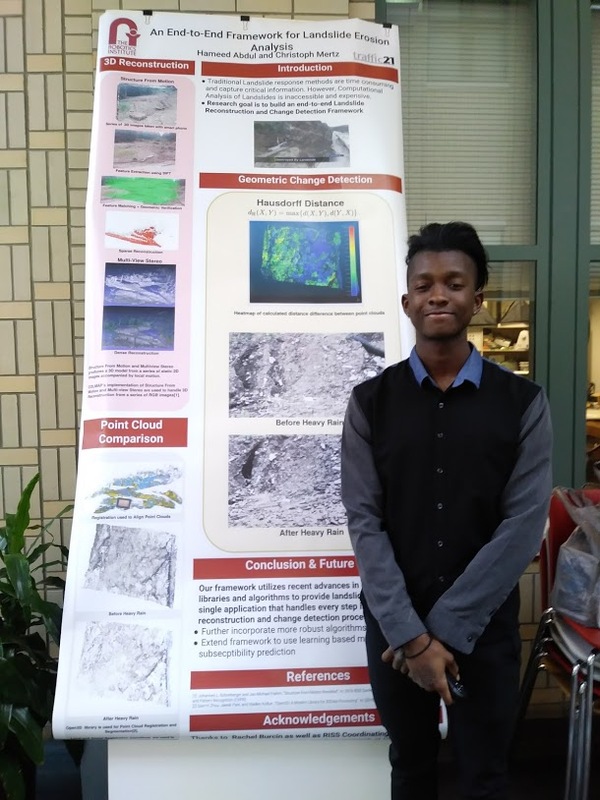 During the program he worked with UTC researcher, Christoph Mertz on “An End-to-End Framework for Landslide Erosion Analysis.” He shared that the experience made him rethink his future plans and found it transformative. Hameed will be returning to the University of Southern Mississippi for his final year of undergraduate studies.